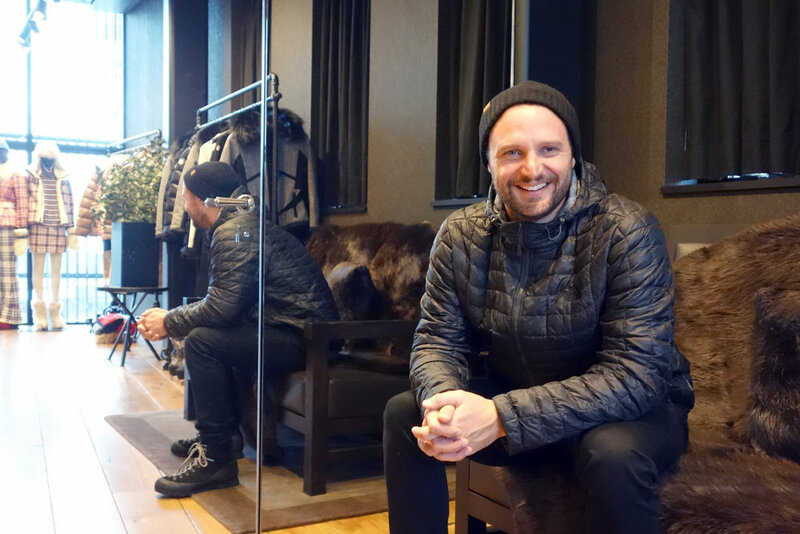 Owner and co-founder of Rhythm Japan, Rhythm Summit, Zaka, and ski apparel label Oyuki, we spent 5 minutes with Matt Hampton. How did Rhythm first start out in Niseko? I used to run a ski shop in Jindabyne (NSW, Australia). In 2004, I was looking to work in a ski store in Niseko, but there wasn't any. So in 2005, I collaborated with Deep Powder Tours and shipped my entire shop in a container to Niseko. Why a ski store, versus a different business? The passion for me stemmed from where I grew up, Cooma, NSW Australia. I would go into the local ski store when I was a kid - it just always had a good vibe there. What do you appreciate most about Niseko? The business and people here are passionate about what they do - from F&B, farming, to products and services. This is a ski town, and we're a community, so being passionate about what you do really goes a long way. What's something about summer that people don't know about? The Rhythm team explore not just Niseko, but the whole Hokkaido, and we've structured cycling packages that span 4-7 days. Hokkaido may seem big but a short 40km each day and we can take you around Hokkaido to see not just the sights, but also enjoy the beautiful ryokans, and of course, taste that fresh seafood and local produce! Oyuki! It's designed and tested here so it'll keep me on the mountain longer! For skis, it'll be Armada skis because they are really playful, with a nice wide flex that is really good for Niseko. Any tips for parents travelling here with their kids? I've got a 4 year old and a 2.5 year old and I think the new beginner quad lift at Annupuri is a fantastic area for families with kids. If you could only eat one thing for the whole season, what and why? Ramen - I love spicy miso ramen!